Who doesn´t love beautiful and cozy knitwear? Here, we share with you 10 of our favorite ethical knitwear brands from around the world. Whether you are looking for something sleek and insulating, or thick and snuggly, there is something for everyone. Ami Amalia has thought about every aspect of their products. From the materials that they’re created from, all the way through the supply chain, to their customers that end up integrating the products into their wardrobes and into their lives. Their pieces are thoughtfully designed to be able to span across seasons and different parts of our lives. Ami Amalia are also very conscious of their pricing and strive to ensure the value behind their ethical pricing is known. 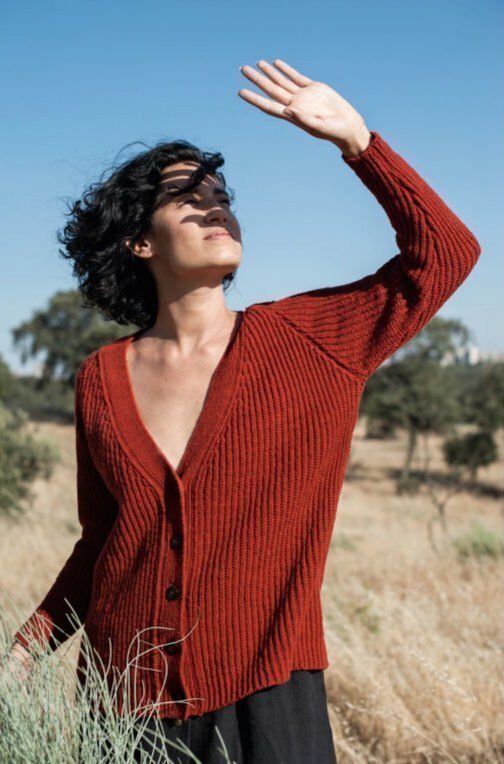 By investing in a long-lasting piece from Ami Amalia, you are supporting their relationships they have built with their suppliers and manufactures, and ensuring slow fashion continues to make itself known in the sea of fast fashion. Visit their styling lounge to try on your favorite product virtually and analyse your personal color palette. Graciela Huam is a newly conceived label that seamlessly blends Dutch and Peruvian traditions. The bold colours and culture from Peru, combined with the modern, contemporary designs and ideas from the Netherlands. The resulting pieces can be described as minimalist, but with a twist. Their responsibly designed knitwear is founded on commitment and respect. Respect for the natural environment and those that reside within it which includes the lives of their production partners; along with a commitment to their customers and providing them with ethically produced, long lasting pieces. All materials are 100% natural and created using traditional Peruvian techniques. The luxuries raw materials include Peruvian Alpaca, baby Alpaca, and the sought after Pima Cotton. HESPERIOS creates a wide range of womens- and unisex knitwear which can be layered as basics or worn as statement pieces. Their modern, cleanly designed garments lend themselves to be worn across seasons, year after year. Among the stunning pieces available are pullovers, dresses, overalls, skirts, bralettes, and beanies. Their pieces are inspired by literature and the natural environment and are produced in the USA and Peru. Their high quality, all natural materials include the finest baby alpaca wool, cashmere, silk, and Pima cotton. Once the yarn has been spun, it is custom dyed or printed at ecologically responsible facilities. 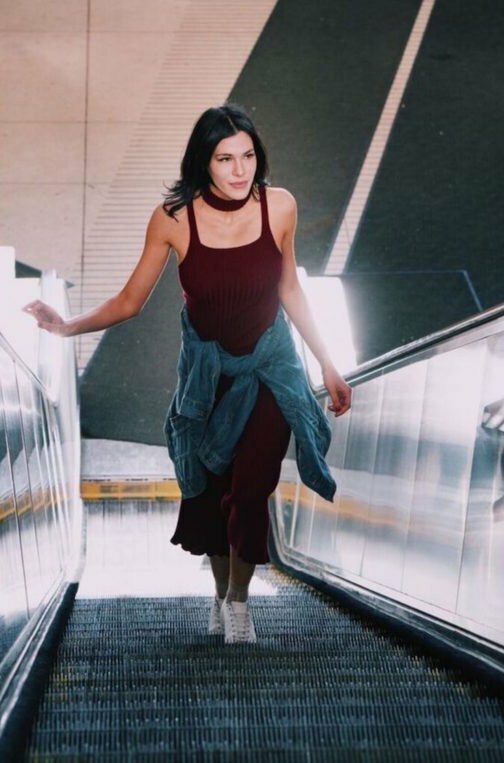 After beginning her career within large ready to wear fashion labels, the creator behind the brand – Mandy Kordal, decided she needed to start walking her own path. Mandy fell in love with knitwear and ended up purchasing her very own knitting machine. She feels it is important to keep the manufacturing techniques on American soil, to ensure this type of knowledge is not be lost over time. Her line is based on ethical manufacturing and ensuring the highest quality pieces make their way into her customers’ wardrobes. Different looming and knitting techniques add texture and details to the contemporary collection of sweaters, cardigans, dresses, and more. Liisa Soolepp creates unique patters and textures which she then incorporates into her modern collections. The designs are inspired by the local surroundings, both natural and manmade. She incorporates Zero Waste principles into her ethical production and uses natural materials such as organic cotton and merino wool. The distinctive bold textures of many of the pieces invoke feelings of warmth and cosiness which are most likely needed in Liisa’s native Estonia! 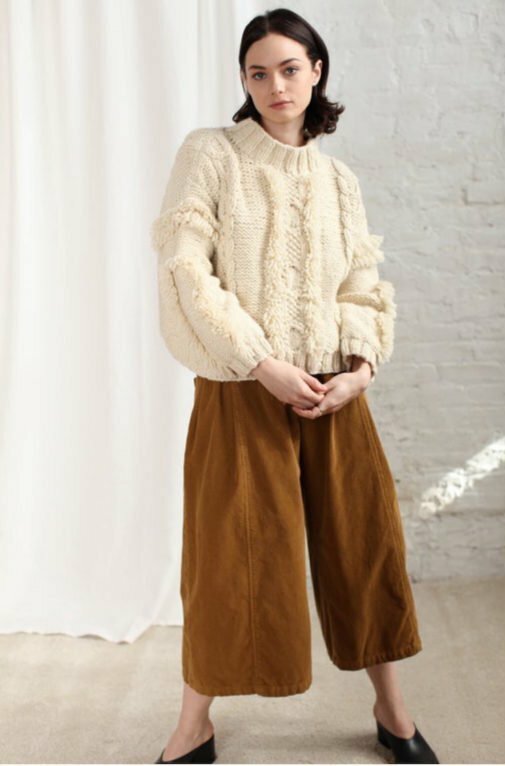 Her knitwear can easily be incorporated into any wardrobe with her use of a simplistic colour palette; or you can choose a statement piece to liven up your outfit of the day. Maas Natur bases their designs on four key principles: ecological responsibility, social responsibility, health, and quality. They are a family business from the start and make all of their own business decisions, without any outside influence. They are one of the founding members of the IVN (International Association of Natural Textiles) and of course include these principles into the quality of materials used in production, and use organic fibres wherever possible. Ethical labour is also at the core of the business and factories are located within their home country of Germany, and other European countries. They have worked hard to keep their pricing fair so everyone has the chance to wear their high-quality, conscious garments. NIA was born following a viewing of the film: The True Cost. The creator behind the label, Merica, decided she no longer would shop for fast fashion, and was sick of the trail of waste left behind by the industry. Either due to the processing of the materials, or the fact that the clothing falls apart after a couple of washes! No, she wanted to design clothing that we could live our lives in and that could stand the test of our unpredictable lives. 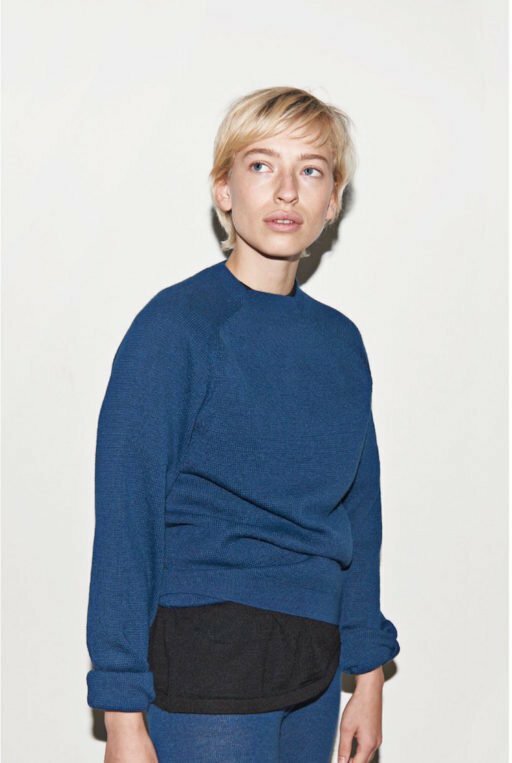 For her debut line she created seam-free, high quality basics from the finest Italian Merino wool in small batches. Using Merino Wool means the styles are biodegradable. The pieces were constructed on a 3D knitting machine, pretty cool! The process is so efficient that it is extremely low impact and environmentally friendly! L’Envers believes that the time has come to promote more responsible consumption, especially within the fashion industry. We must place a greater emphasis on the provenance of raw material, the people who actually create the clothing, as well as on the conditions within which they work. 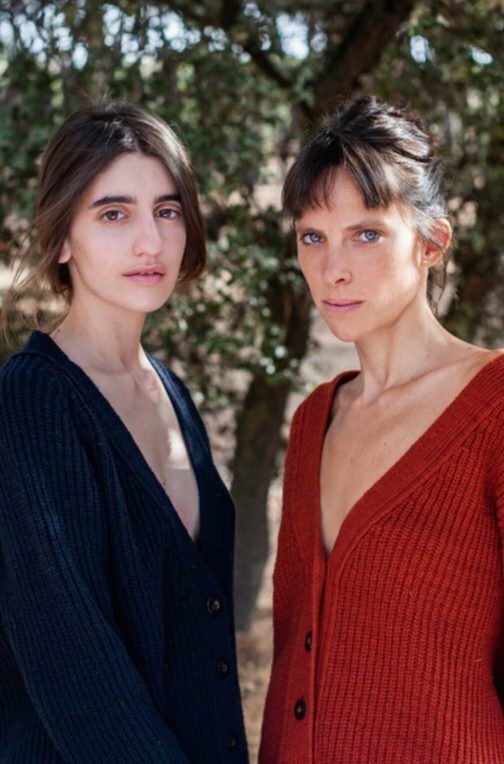 L’Envers works exclusively with small, local and family-owned manufactures based in Spain where the funder lives and source in France the best merino, yak, mohair, and alpaca wool from around the world. They have chosen to use wool for their knitwear due to its eco-friendly, and renewable properties. Their pieces are timeless and defy seasonality and fleeting trends while also lasting a lifetime. On their website you can trace where each piece is designed and knitted, and learn more about each artisan of workshops located throughout Europe. They have one unique collection per year with very limited pieces individually numbered.